“Acne” is the word that is too difficult for comprehension, the word that is not scary enough to transfer the very emotional spectrum of feeling that a teenager experiences during facing of the problem. It often results in self-disappointment and depression due to the imperfection of the surrounding world. The word “pimples” that is the right word that reminds everyone about the inconveniences and worries that were caused by this problem. Most people have already experienced this terrible malady on the own skin. Not every person is capable to adequately face the problem of the outer look. This statement is especially important in terms of teenagers whose fragile psychic is facing stress every day. It is sad statistics but nearly 90% of teenagers experience this inconvenient disease and 75% of which have a serious form of acne. Although this is a normal event of getting mature and it cannot be canceled, it brings a lot of sadness and it cannot be avoided. You can only minimize the sequences thanks to proper care means which will preserve the skin healthy and beautiful. The teenage girls face acne within 12-14 years period while boys within 14-15. When the skin is covered with non-aesthetic formations it is not a surprise that it damages forming characters of the teenagers. This is one of the main reasons when a care of the doctor is required. This is a problem of both dermatological and psychological nature. There are numerous reasons for the origin of teenage acne. Here you will find the most frequent ones. The genetic predisposition. It means that if the parent of the kid had a problem with pimples, there is a high chance that a kid will have that same problem. The hormonal problems. In case of some failures with the endocrine system, the pimples can become an obvious marker of the problem. The medicament acne. The pimples can develop in case of consumption of some medical substances like steroid containing pills, antidepressants, tranquilizers, oral contraceptives etc. Temporary hormonal shifts. It concerns mainly women as during menstruation there are frequent changes in the level of hormones. Wrong cosmetics. Girls frequently buy cheap cosmetics that can be harmful to their skin as it blocks the oil pores of the skin and increases the concentration of the grease in the skin. Intensive hygiene. A constant utilization of soap often leads to drying of the skin and activation of the oil glands in the body to moisture the skin. Surrounding area impact. The development of acne with teenagers can be caused by an influence of the environment. The air can be either too dry or humid. The polluted air can perform a negative impact on the skin of a teenager. It is very easy to call all the acne formations with a single word – pimples. However, that opinion will be entirely wrong as there are numerous species of formations depending on the outer look. Each of them requires a personal means of treatment. Sebocystoma – deep formations filled with pus which frequently leave the scars on the skin. The last of the two cases are the most problematic for treatment but they take case really rarely. The treatment of teenage acne is a long and problematic process. The medication selection depends on the genesis of the disease, the severity of the case and the patient’s status. In some particular cases, the cosmetology procedures are not enough to get rid of the malady. In order to start the treatment, the following points should be taken into consideration. Psychological status of the patient. Depending on the quantity and character of rash there are 4 forms of acnegenicity with the teenagers. Each of them has got peculiarities of treatment. It is considered the easiest one. The disease is represented with a small amount of inflamed and non-inflamed elements. The treatment is organized through the use of lotions and tonics which are used to reduce the oil level of the skin. This stage has got an average severity. The amount of inflamed elements ranges between 10 and 25 pieces. The treatment process is organized through the utilization of topical substances like gels, creams, and ointments. It is often titled a severe stage. There are 25-50 nodules, papules, and pustulations. There are also sebocystoma large inflamed elements of 5mm diameter or more. The therapy of this stage demands the use of antibacterial substances together with topical retinoids. This is the most terrifying form of acne. It is characterized with over 50 formations of various types which are intertwined beneath the skin. At this stage, only a doctor should make a decision about the therapy procedure. It usually demands the utilization of hormonal substances together with antibiotics. A further treatment is supported by creams of various types. The modern medicine is supposed to cope up with the following problems in order to cure or decrease the influence of the most popular teenage problem. Taking measures to remove the post-acne scars. In order to soften the comedone corks, the doctors use topical retinoid substances which contain the vitamin A and its synthetic variations. To normalize the number of fatty acids on the surface of the skin the specialists prescribe the substances on the basis of peroxide benzoyl. In order to disinfect, dry out and provide an antiseptic effect the doctors usually utilize the Azalaine and salicylic acid containing substances. To remove the inflammatory processes, it might be necessary to use zinc oxide and sulfur for the treatment of acne rash. To deal with pathogenic microflora and stop the inflammation process, it is advisable to use the antibiotics. Erythromycin containing substances are the most frequently prescribed options. The teenage acne can be successfully prevented thanks to some simple preventive measures or at least it can help to reduce the effect of the disease. Soft cleansing of the problematic skin areas several times per day. Diet and the development of healthy habits. Shifting to the cosmetics of a decent quality and refusal from oil based cosmetics. Following these three steps will help you to deal with acne period in an easier manner and they will help you to maintain a healthy body. There is an abundance of goods which are available for the teens that can help them to reduce an unpleasant effect of puberty acne. There are topical creams which go in a single tube and large complexes which require following some smart procedures. 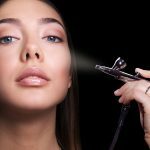 The pimples should be battled in a clever manner and below you will find some useful solutions of various kind for getting rid of the most popular teenage problem. The Acne.org Regimen is one of the top-level organizations which work in the field of acne treatment. 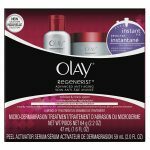 It provides a simple three-step procedure for dealing with teenage acne and normalizing the state of the skin. The cleanser prepares the skin for treatment. 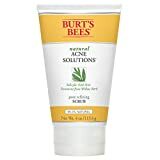 The Acne.org treatment cream removes the acne from the skin and moisturizer prevents the dehydration of the skin. The cleanser is a superb choice for teenage acne. This is one of the most reputable and oldest means of skin care. It is not only a medication but a nourishing substance that preserves a well-being of the skin. The moisturizing element is weaker if compared with other options. You need to get three different flasks of medicine and some of them can cause irritation. The substance creates a masking foil on the face that makes acne less visible. It can be used for 8 weeks and that is enough for a visible effect. Works with both teenagers and adults. The foam does not work equally well with all levels of teenage acne severity. There is a disproportion with fluids and you can run out of foam and moisturizer while still having a cleansing lotion. Mother Nature knows the secrets of restoring the skin to a nearly perfect level. It cleans the pores providing a healthy look to the face. The cream conducts a gentle impact without causing reddening and itching of the skin. Finally, the substance performs a preventive action that blocks a future appearance of acne with acne prone skin. The cream is 99% organic. It is utilized for all types of acne. A tube is comfortable for hygienic dosage. A small package of only 4 ounces. It is developed mainly for oily skin. Some people might have the allergy to some of the natural ingredients. The teenage acne will run away after being attacked by the forces of nature. This three-step kit is composed of exclusively natural and organic ingredients to complement the skin in the best manner. The gel will purify the depths of the pores while localized treatment cream will cope up with the blemishes within a 48h time lap. The moisturizer will polish the result by making the skin smooth and silky while avoiding the irritation. It works fast with blemishes and pimples. The set is fully non-comedogenic. The medication does not dry out the skin. Some people can dislike a natural smell of the cream. The face can become oily after several months of repeated use. It works weaker with a dry skin and severe acne cases. 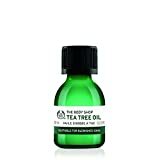 Tea tree oil is a powerful natural substance that has been used for acne fighting for many centuries. This is a 100% natural tea oil that is a pure concentrate of purification effect. It will easily cope up with the majority of acne types within a week term. Such an effect has been clinically proven so there is no need to doubt about it. It generates an antiseptic effect. It provides a powerful spot effect that is perfect for single pimples. You can’t use it on the whole face. It can’t be combined with retinol and benzoyl as they interact with each other causing burns. The package is really small. This is one of the best remedies for dealing with teenage acne. It consists of 3 elements which are capable to deal with 60% of severe acne outbreak within 10 days. 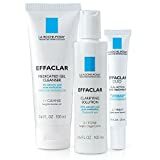 La Roche has proven its reliability in terms of skin care as thousands of dermatologists worldwide confirmed the efficiency of the cosmetics via official tests. The medication grants fast skin normalization. The creams and lotions are totally odorless. It can leave painful red rash for sensitive skin. Should be applied to treat hormonal acne. This Benzac foam cleanser is among top skin cleansers which can help a teenager to get rid of the blemishes and pimples very fast. It utilizes the natural oils of sandalwood that grants a soothing and relaxing action to an irritated skin. It removes the acne like a fire extinguisher. The foam penetrates deep into the pores and dissolves excessive oil from the depths of the skin. The substance is totally odorless. It turns skin smooth and silky. Suitable for all types of the skin. There might be some dryness. Some people find the foam not that helpful as a standard cream. This is a 2-in 1 serum that provides a decent cleaning of the skin by removing the wastes and bacteria from the pores. After a continuous use of the item, the skin regulates the oil level more effectively and that is specifically important during the adolescent age. The formula is rather light without leaving the skin dry. 2-in-1 formula cleans and hydrates the skin. It regulates the skin’s oil control function. It smells not really nice. A high concentration of active substance makes it possible to penetrate the deepest layers of the skin and start eliminating the bacteria from the depth. It fights with black and white-headed pimples and is a universal means of acne fighting for both teenagers and adults. It blocks the germination further on and slowdowns the acne development. It has a high concentration of peroxide benzoyl. Can cope with the most severe acne cases. No parabens and animal products used in the wash.
Can’t be used with sensitive skin. Can cause irritation of the skin. Poorly adapted for use dose dispenser. The fast action of acne removal. It can be applied for both normal and oily skins type. It is a medically approved substance. For some people, it can cause stinginess. There are patients who are extra sensitive to the scent of Clearasil. 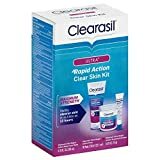 If there is a necessity to deal with the problem of acne extremely fast and it is the case of localized pimples, Clearasil is the remedy that will provide ultra-rapid aid. It is amazing but a powerful formula makes the skin look cleaner and lighter within the first 12 hours of application. The three elements of the kit are designated to eliminate the bacteria that is the main reason for the acne in the core. The medicine stimulates natural regenerative functions of the skin. The skin stays clean for a longer period of time. There might be reddening within the first hours after usage. Not all elements of the kit work equally effective for all types of the skin. It can’t be used for a long time as skin remembers the chemicals. Here we have a powerful 3-step system that will definitely help the problematic skin of a teenager. A special formula was designed not only to fight acne but postpone its return for a relatively long time. The ingredients of the substances are capable of killing the bacteria which cause acne at first place. Additional nourish effect is one of the pleasant bonuses which are provided by this substance. It is a powerful curative and preventive anti-acne means. The formula consists of numerous reputable ingredients which improve overall skin state. The set is enough for a 30-day therapy. The cream does not fight with black spots. It can dry out a sensitive skin and cause reddening. It has a wonderful scent of orange. Cleans the pores deeper thanks to the natural ingredients. The cream is not blocking the pores. It is more cosmetics than acne medicine. People with the citrus allergy might have the rash after using it. There might be some chemicals combined with natural ingredients. Effective natural peeling of the skin. The charcoal is known for purifying functions. It cleans effectively the oily skin. It is not applicable to damaged skin. The cleanser can cause irritation when applied for a sensitive skin. This is a cleansing cream but not a medicine against acne. Just try them out and check if they are capable of helping to improve your individual status. In case of some worsening of the status, please check the local medical worker for a more accurate diagnosis as acne can be caused by some other health issues aside from teenage hormones.